Kodachrome (2017) – What's New on Netflix Canada Today! A dying photographer and his estranged record company executive son reunite for a road trip to the last photo lab still developing Kodachrome film. 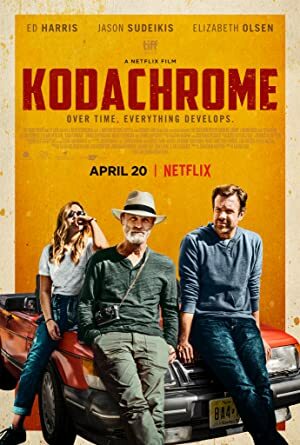 The film is based on A.G. Sulzberger’s 2010 New York Times article “For Kodachrome Fans, Road Ends at Photo Lab in Kansas” about a father and son who take a road trip to Kansas in order to develop photographs at Kodak’s last Kodachrome lab before it closes its doors forever.